I bought this iRest leg and calf massager (SL-C11 Legs beautician) this weekend on one of the promotions they had in a shopping mall. So far I am impressed with the product and my family and friends have been loving it. Before I jump into the details, let me give a small brief on this purchase decision. I am working in the Information Technology Industry and the long hours/ years of sitting in front of the computer have started taking its toll. Many of us have back ache, knee pain, leg pain apart from the usual job related mental stress. So the Tech Industry workers are prospective buyers. To capitalize this, another manufacturer Osim had a demo of this machine at International Tech Park Bangalore couple of year back. It really felt good but the price quoted was around 20,000 Indian Rupees (500 USD approx) was way too much. This weekend, I saw a similar machine (iRest) being displayed in Total mall and I approached them for a free demo with no intention to buy because of the hefty price tag. I sat on the machine, it felt good and at last enquired about the price. The salesman quoted 16,500, I said give me a good deal and at last I got it for 15,000 which I feel is a good price. It is too premature to say if my work related pain will go away by regular usage of this machine but it is sure 15 minutes of bliss. The long term benefits are yet to be seen and I will keep you all posted. My take on the price is this. Many of us have a cell phone which costs as much but you just use it for a few calls, take a few pictures, listen to couple of songs. For the same price, this leg and calf massager does a great job for your health. Here are some pros and cons about iRest leg and calf massager. It does a good job on the massaging front, you feel really relaxed and good after the 15 minute session. The build quality is good. The company is a good Chinese manufacturer with ISO quality certification. The website nor the support manual no where speaks about the health benefits of the machine. The machine when in vibration mode doesn’t do a silent job. I can hear some rattles which could have been avoided. The price can be further lowered to cater to a mass market. The product website really doesn’t do justice. The language and content may not be really helpful. Today I enquired about iRest Leg massager, now they quoted me Rs.18750/- for the same. Can any one please give correct price for it. My spouse and I absolutely love your blog and find the majority of your post’s to be just what I’m looking for. can you offer guest writers to write content for yourself? I wouldn’t mind composing a post or elaborating on a lot of the subjects you write regarding here. Again, awesome weblog! Greetings from Carolina! I’m bored to tears at work so I decided to browse your site on my iphone during lunch break. I enjoy the knowledge you present here and can’t wait to take a look when I get home. I’m amazed at how quick your blog loaded on my phone .. I’m not even using WIFI, just 3G .. Anyways, excellent site! Do you mind if I quote a couple of your posts as long as I provide credit and sources back to your weblog? My blog site is in the very same area of interest as yours and my visitors would certainly benefit from some of the information you provide here. Please let me know if this alright with you. Thanks! G’day, you wrote an huge post at this site. You seem to be mindful of your child-rearing techniques, however I’d really love to know which child-rearing type you love the most. Do you think it might be really that significant to be extremely authoritarian to enhance your child education? Would be nice to pick up on your opinion. was extremely pleased to locate this web-site.I wanted to thanks for your time for this wonderful read!! I undoubtedly enjoying each and every tiny bit of it and I’ve you bookmarked to check out new stuff you blog post. Fantastic blog! Do you have any suggestions for aspiring writers? I’m planning to start my own blog soon but I’m a little lost on everything. Would you suggest starting with a free platform like Wordpress or go for a paid option? There are so many options out there that I’m completely overwhelmed .. Any ideas? Thanks! Aw, this was a very nice post. In concept I wish to put in writing like this moreover – taking time and precise effort to make a very good article… but what can I say… I procrastinate alot and in no way appear to get something done. Please let me know if you’re looking for a article author for your site. You have some really good articles and I feel I would be a good asset. If you ever want to take some of the load off, I’d absolutely love to write some material for your blog in exchange for a link back to mine. Please send me an e-mail if interested. Thank you! Dear Prem, Hope you wold have enjoyed the massager. I’m planning to buy the same, Please suggest should I go for it or not. Just a YES or NO will also work. i have bought the products of this company in Pune and much sales talk was given and after sales service promised for life time but i am following up for the repairs of the foot massager since last 11 months but all efforts in vain and company does not bother to respond or update their customers with updated phone nos. or address. this leads me to think if the company exists any more ? Wow, incredible blog layout! How long have you been blogging for? you make blogging look easy. The overall look of your web site is magnificent, let alone the content!. Thanks For Your article about Indian Parenting » Blog Archive » iRest leg and calf massager review . I need to admit aim pretty new to using WordPress well basically incredibly new. Just starting to acquire the hang of it. Reading your put up has been very informative. I have to admit still not totally 100% percent clear in my head. So have just put your blog on my desktop so I’m able to go straight to it and have another seem later. Wow, incredible blog layout! How long have you been blogging for? you make blogging look easy. The overall look of your website is wonderful, let alone the content!. Thanks For Your article about Indian Parenting » Blog Archive » iRest leg and calf massager review . Wow, amazing blog layout! How long have you been blogging for? you make blogging look easy. The overall look of your site is great, as well as the content!. Thanks For Your article about Indian Parenting » Blog Archive » iRest leg and calf massager review . A lot of times it’s tough to get that “perfect balance” between user friendliness and visual appearance. I must say that you’ve done a superb job with this. Wow, fantastic blog layout! How long have you been blogging for? you made blogging look easy. The overall look of your site is wonderful, let alone the content!. 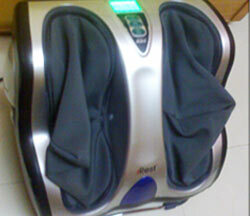 Thanks For Your article about Indian Parenting » Blog Archive » iRest leg and calf massager review . Hello my friend! I wish to say that this post is awesome, nice written and include approximately all important infos. I’d like to peer more posts like this. The subsequent matter location that one can go to locate wonderful, low-priced clothing is on-line. There are a lot of people who want to sell apparel from an on-line company which they have. They are going to even take bidding which enables someone to acquire things lower than wholesale. There is certainly normally a return policy grosir baju untuk lebaran likewise. I needed to compose you this little note to be able to give thanks yet again for all the breathtaking thoughts you’ve documented at this time. It was simply incredibly open-handed with people like you giving extensively all that numerous people could have distributed for an e-book to help with making some money for themselves, and in particular given that you could possibly have tried it if you wanted. These strategies also acted to be a easy way to know that many people have a similar fervor similar to mine to know the truth many more with reference to this issue. I think there are some more pleasant instances ahead for those who browse through your blog. Hmm it appears like your site ate my first comment (it was super long) so I guess I’ll just sum it up what I had written and say, I’m thoroughly enjoying your blog. I too am an aspiring blog blogger but I’m still new to the whole thing. Do you have any points for newbie blog writers? I’d really appreciate it. Thanks for your ideas. One thing I have noticed is always that banks and financial institutions know the dimensions and spending practices of consumers and also understand that most people max out their cards around the holiday seasons. They sensibly take advantage of this fact and commence flooding ones inbox in addition to snail-mail box having hundreds of Zero APR card offers shortly after the holiday season finishes. Knowing that should you be like 98% of American general public, you’ll leap at the one opportunity to consolidate financial debt and shift balances for 0 annual percentage rates credit cards. I’m bookmarking and will be tweeting this to my followers! Outstanding blog and wonderful design and style. 3E3sUZ This is one awesome blog article.Thanks Again. Awesome.